Long time, no outfit post! Today I'm sharing how to style one of this season's biggest trends: tie-waist pants. 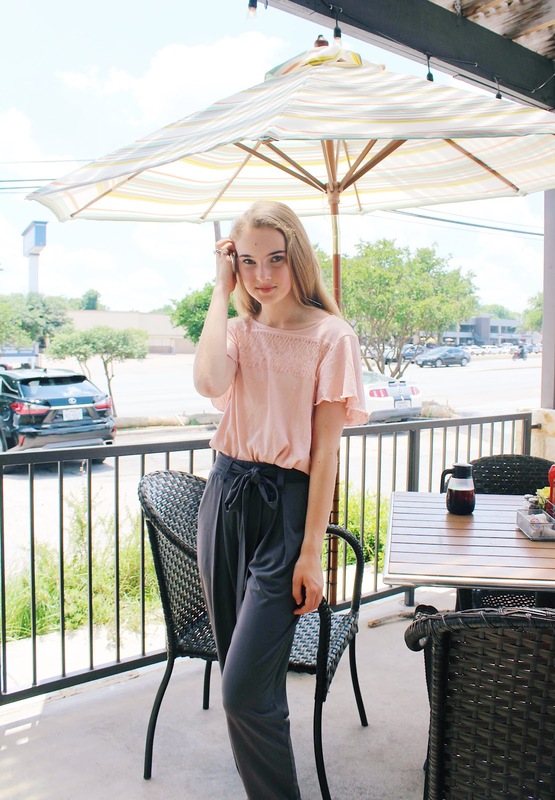 I'm so excited to be working with Shop Stevie on this post - keep reading to see how I styled their pants! the yummy breakfast I had when shooting this outfit! When looking through the clothing on the Shop Stevie website, I instantly knew I wanted these pants. I've been wanting to try out this trend for a while, so I was so excited to finally have a pair to style! Initially, I wasn't sure what to wear them with, but I ended up pairing them with this shirt that I stole borrowed from my mom! 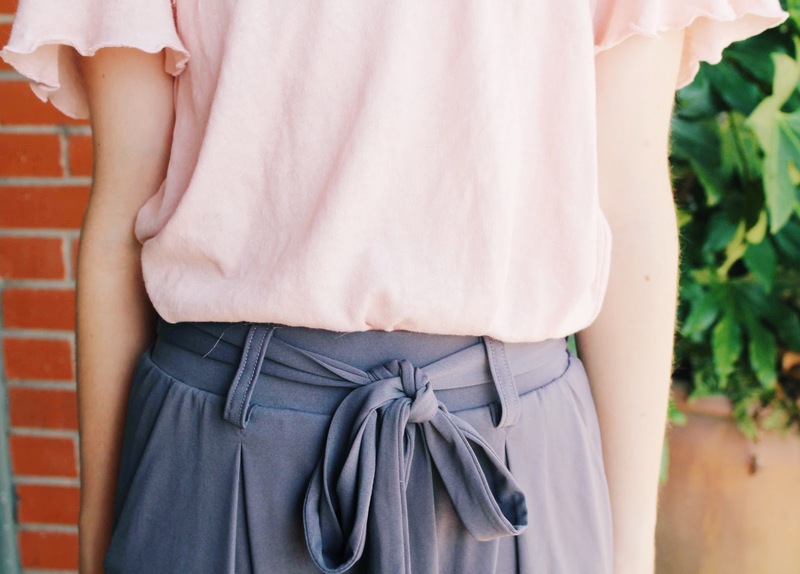 Blush pink is one of my favorite colors (but you knew that already!) and I love how it looks paired with gray. I accessorized with some simple silver jewelry: stud earrings and my James Avery rings. I wore this outfit yesterday when going out to brunch with my family. 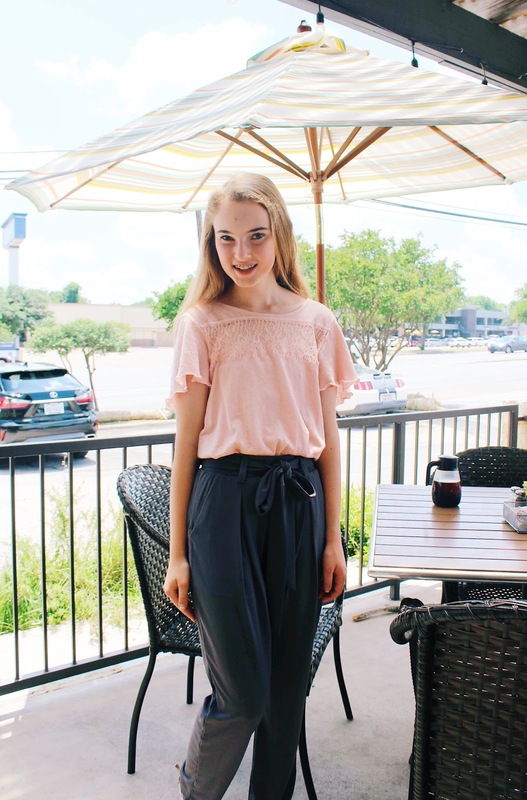 We went to my mom's favorite restaurant in Dallas: Dream Cafe, and it was delicious! 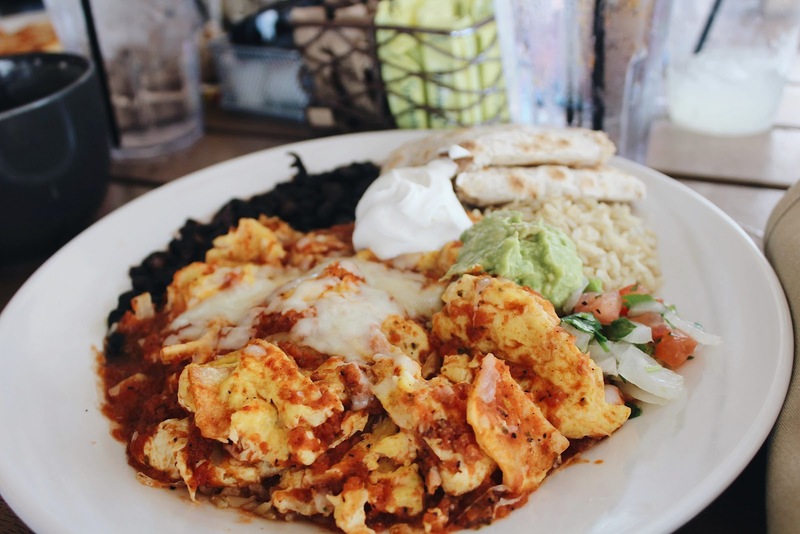 I got the migas (my go-to dish) and enjoyed every bite. Afterwards, we went to some boutiques to do a little shopping. It wasn't the best plan, because most stores were closed for Memorial Day, but we found a few that were open and we each bought a shirt! If you have yet to try out this trend, definitely go for it! 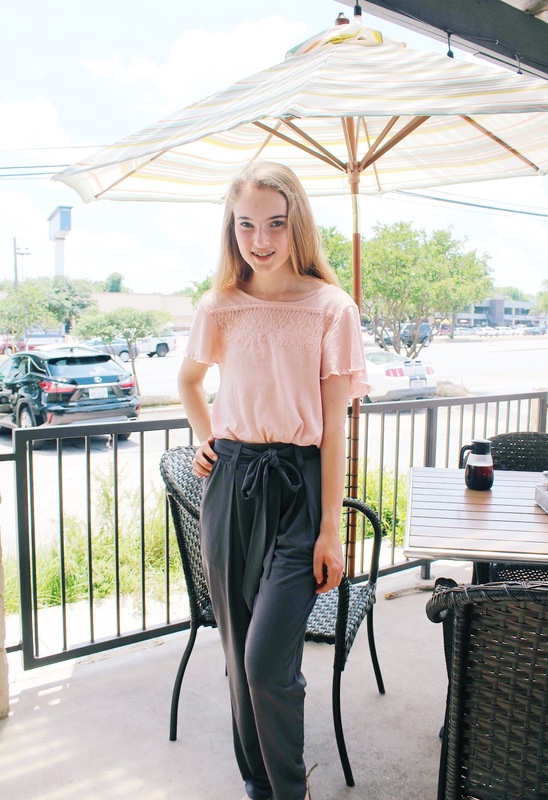 I'll admit, these pants are a little out of my comfort zone, but they're so comfortable and stylish and I'm so happy I got them! Thank you to Shop Stevie for sponsoring this post. As always, all opinions are my own! It's crazy to think that my freshman year of high school is coming to an end, and pretty soon I'll be heading off to college. 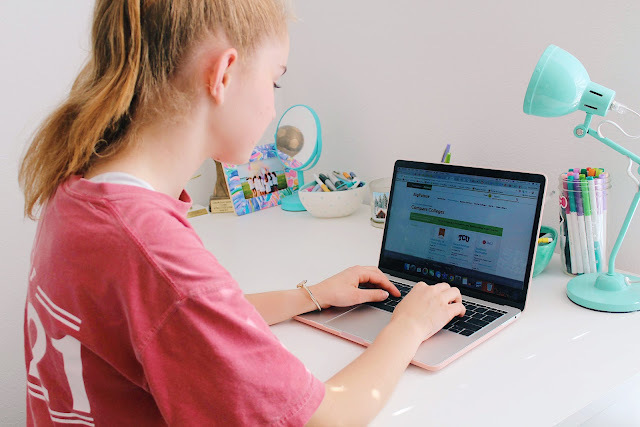 Although it may seem a little early to start researching colleges, I've begun to do a little research and narrow down my list over the past year. 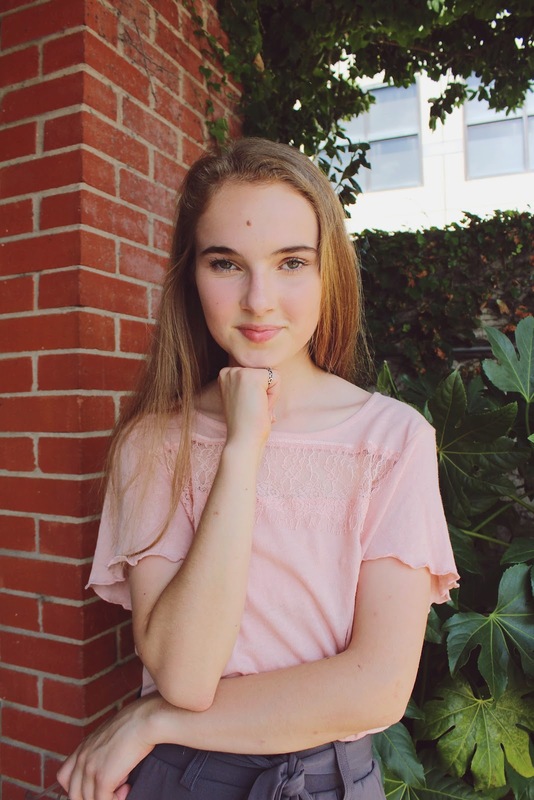 Today I'm partnering with Her Campus Media and College Board to share some ways that you can start researching colleges, even if you're only a freshman or middle schooler! The main colleges I'm interested in are the University of Texas, Southern Methodist University, Texas Christian University, and the University of Arkansas. 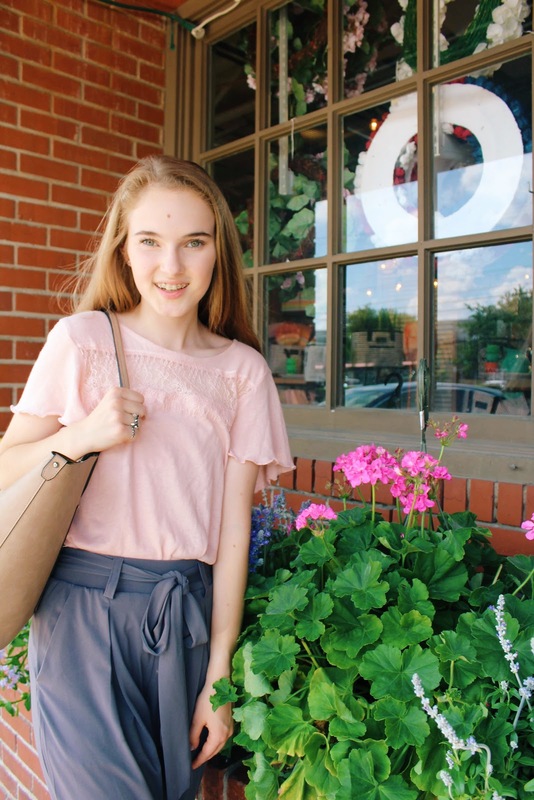 I've visited the three Texas schools (see their respective blog posts here, here, & here) and my mom and I are trying to figure out a time to head up to Fayetteville to see the University of Arkansas. Since I'm only a freshman in high school, we've done very informal visits to the campuses (just walking around and getting a feel for the place) but as the time gets closer, we're going to do guided tours. I highly recommend going to visit college campuses that you might be interested in, because walking around the campus really helps you get a feel for the place and see if you can picture yourself there. Another tool that I've found really helpful is the BigFuture search engine by College Board. BigFuture is an interactive tool that helps you discover potential colleges based on the criteria that you want: majors, college size, demographics, housing, environment... the list goes on and on! 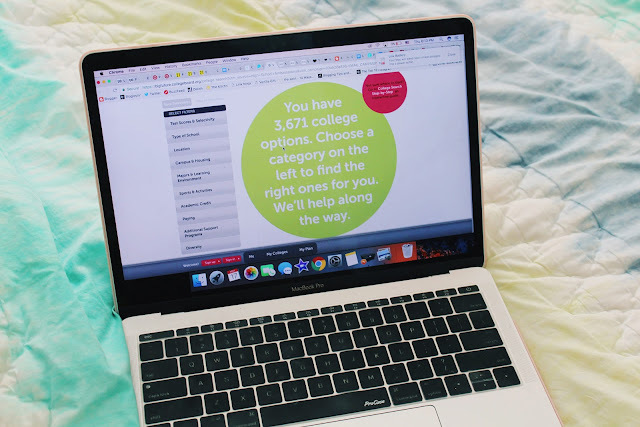 You can also compare all the colleges you're interested in and see how they stack up against each other in terms of tuition, admission, size, and more. There's also tons of articles and resources available to you if you're trying to determine what type of college is best for you. I could not recommend this site enough! It is so thorough and helpful, and I'm so glad to have discovered it. Another thing I recommend is going to any college fairs your school might have. This is a great way to discover new colleges you might not have known about and get statistics and brochures for colleges you're interested in. My school had a college fair last fall, and that's actually what got me interested in the University of Arkansas - the lady at their table was really nice and told me a lot about the school! If you discover any new colleges this way, you can go onto the BigFuture website and research them more thoroughly to discover more facts about them. Disclaimer: This post is sponsored by Her Campus Media and College Board. All opinions are my own. Happy Friday! This week has been incredibly long, but I'm trying to stay positive because there's only three more weeks of school before summer! Today I'm sharing some of my favorite blog posts and articles I've been loving lately - enjoy! 1 // Microinfluencers are taking over the blogging game... are you one? 2 // Headed to Maui this summer and I'm starting to research places to visit - this travel guide has been my favorite so far! 4 // Lauren is expecting!!! She's going to be such an amazing mom! 5 // I've always wanted to try a barre class, and Kate's post about it makes me want to try it even more! 7 // Dying to try these Trader Joe's finds! 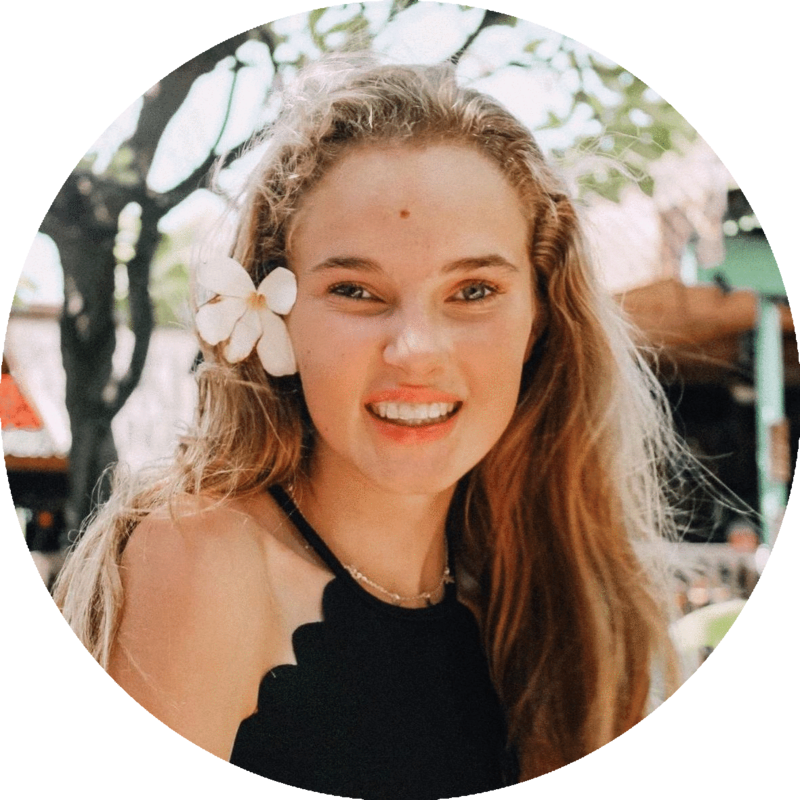 9 // Julia released her dress collection recently, and I loved this interview about how she started it. 12 // I promise this is my last thing about ice cream, but have you watched my healthy ice cream taste test? 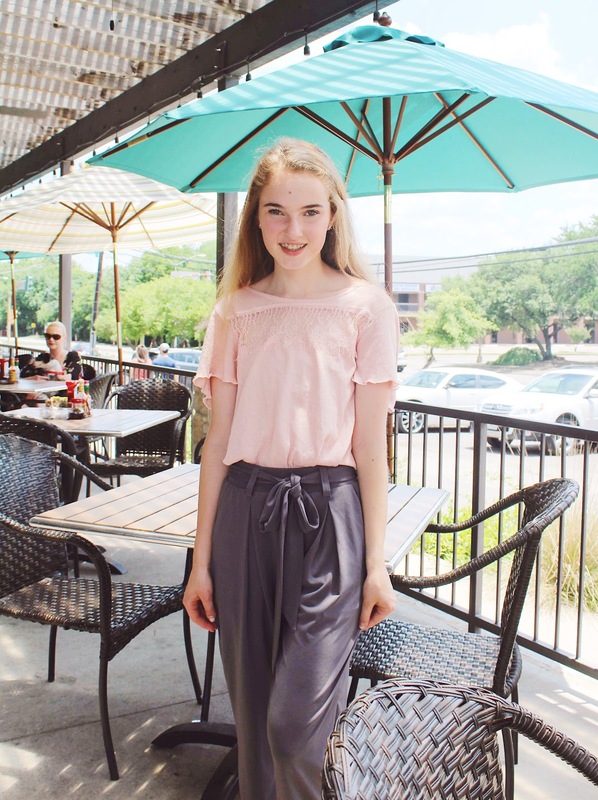 13 // I loved reading Molly's birthday reflections! 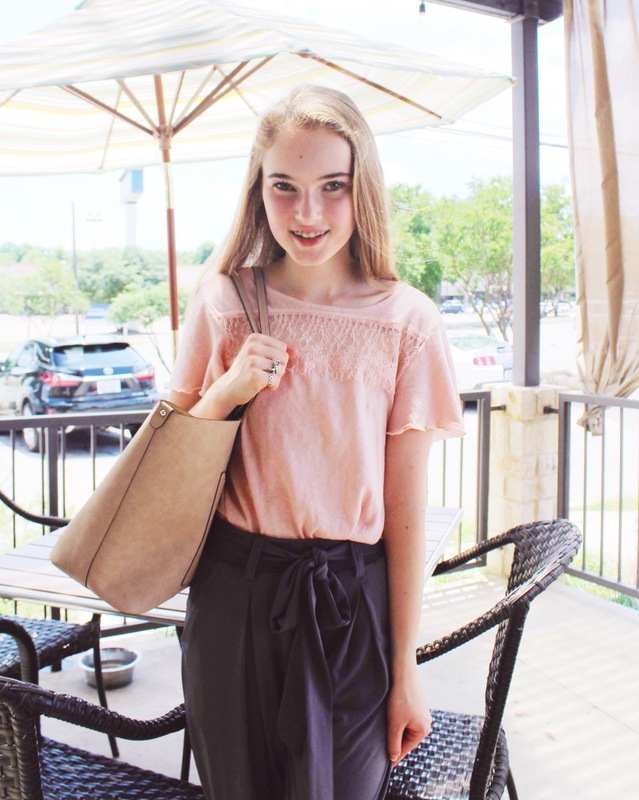 14 // This outfit is one of my favorites that Julia has ever shared! 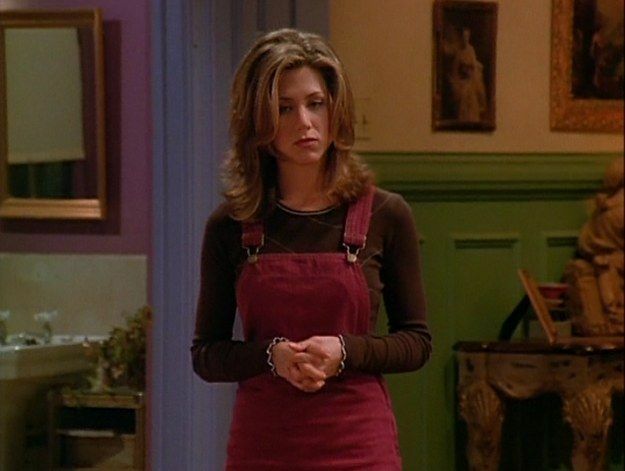 Whenever I watch Friends, I always remark how it's funny that a lot of the outfits Rachel Green wears are back in style. It's so interesting to me how fashion recycles itself and we're now seeing a lot of trends that were big in the 90's - denim skirts, Adidas shoes... I could go on and on. 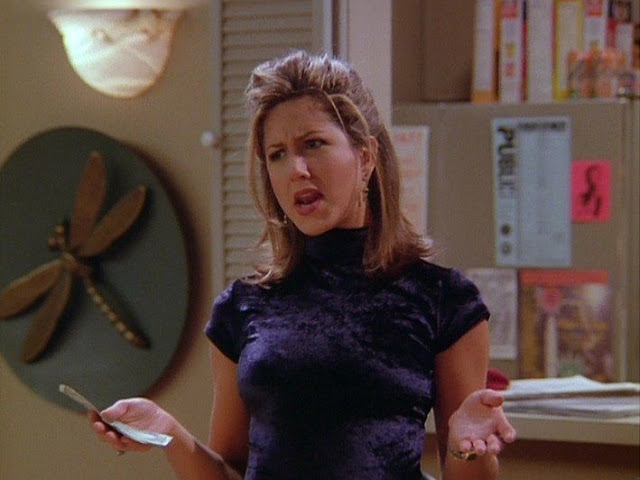 Rachel Green is one of my favorite TV show characters ever, and I often find myself watching Friends and thinking, Hey! I would wear that outfit! Today I am sharing some outfits that are similar to what Rachel Green wore, so you can duplicate her style if your heart desires. 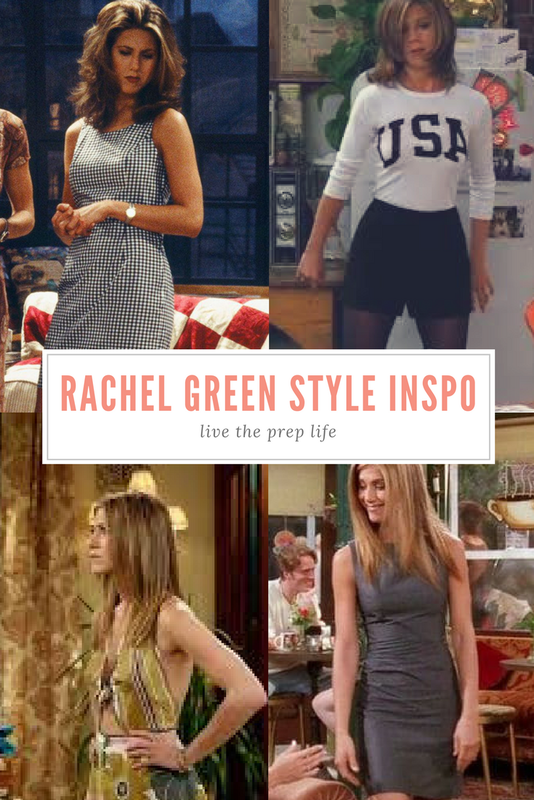 This post was inspired by this post from The Every Girl - go check it out to see more Rachel Green fashion! 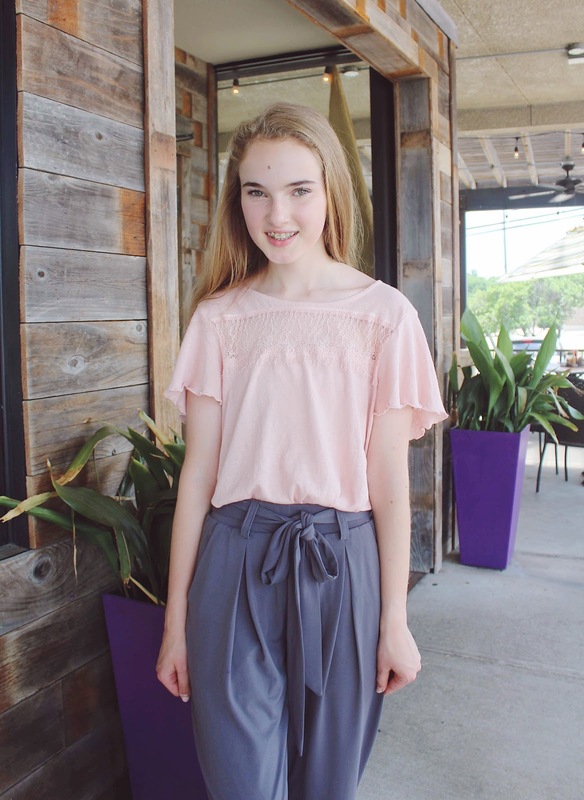 Lace-up tops have been a big trend in the past year or so - it's a perfect way to make a plain shirt a little more fun (see how I styled one here). Shorts and tights may not be a trend right now, but this shirt definitely is! 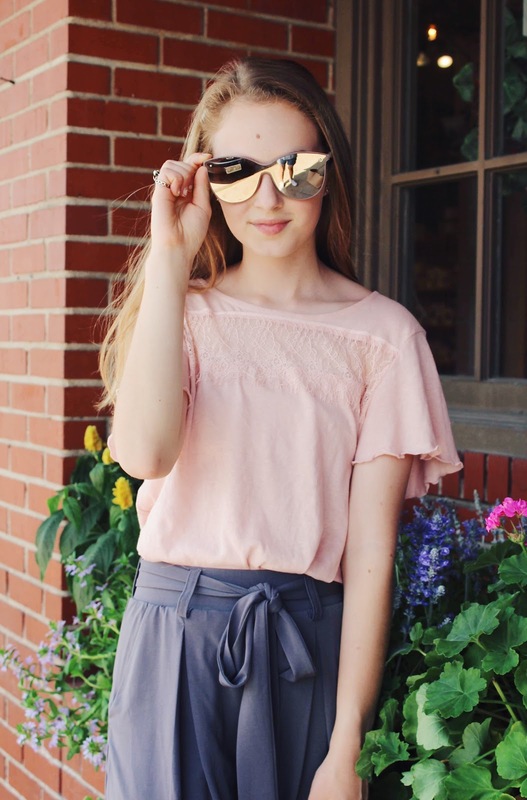 I'm sure you've seen the iconic Brandy Melville USA tee on Instagram at some point, but Shein and Forever 21 sell similar styles for only $10! Pair it with some comfy paperbag shorts and you've got the perfect 4th of July outfit right there. While I'm not totally in love with the color combination here, overall dresses like this one are a big trend right now! You can throw them on over a t-shirt, plain top, or bralette and call it a day - so cute and effortless. 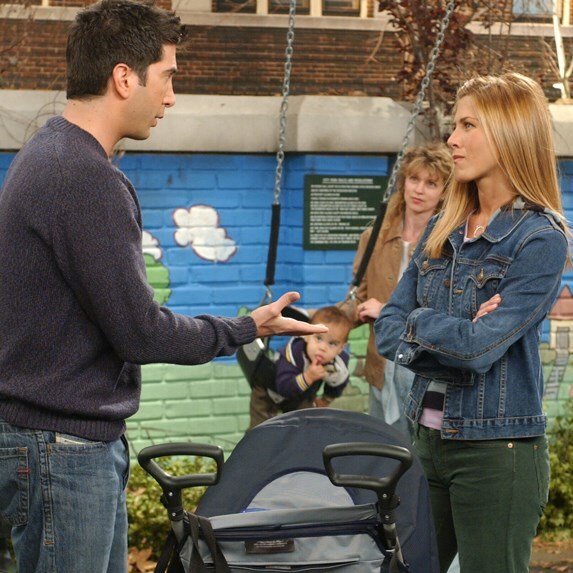 This has to be one of my favorite outfits Rachel ever wore. 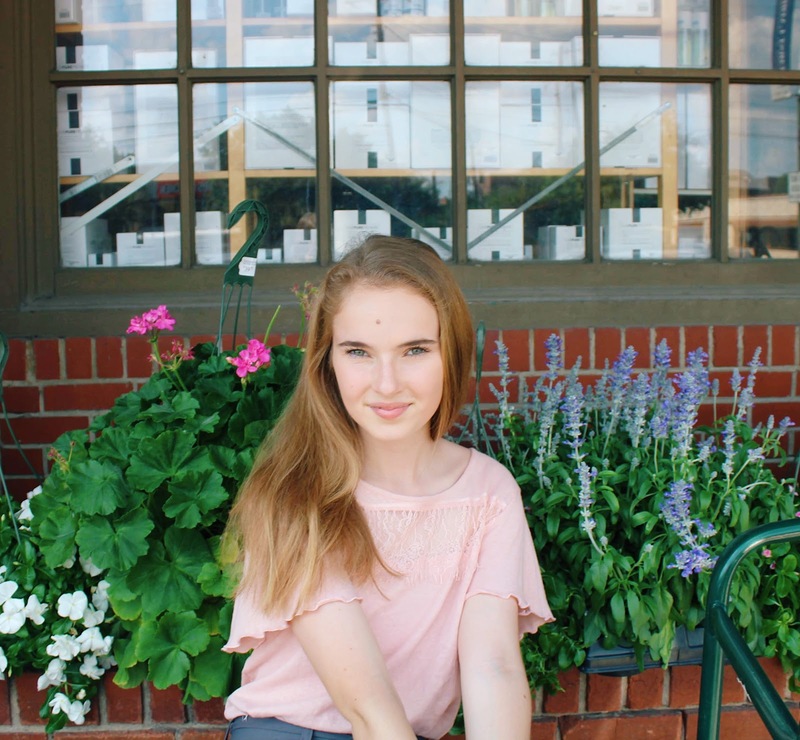 I love gingham (as seen here) and I'm so happy that it's still a trend this summer! A lot of places sell dresses that are almost identical to this for under $50, making them the perfect effortless summer outfit. Velvet tops were a huge trend last winter (see how I styled one here), and a lot of velvet tops are on sale now! From pink, to blue, to velvet, you can find them in all sorts of different colors and styles. This bralette + overalls combo is perfect for hot summer days! I love that overalls are coming back - I've been dying to purchase a pair, and seeing Rachel wear this makes me want them even more. I've been wearing my denim jacket a lot recently, and I love how Rachel paired hers with a striped shirt and some olive jeans. This outfit may not be the trendiest, but I still think it's very cute! 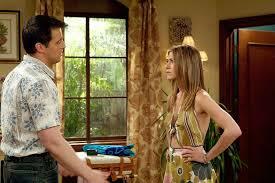 What's your favorite outfit Rachel Green wore? Would you wear any of these outfits today? Currently posts have become my favorite type of blog posts to write. I always look forward to sitting down and sharing my current favorites with y'all (and judging from the reader survey I made a few months ago, y'all seem to love them too!) Grab a cup of coffee, sit down, and keep reading to see what I've been loving lately! Eating... hummus and cherry tomatoes! I've loved hummus for a few years, but I kind of forgot about it last year and haven't eaten any until last week, when my mom bought some. We didn't have any chips, so I dipped some cherry tomatoes in the hummus instead, and I fell in love with the combination! Buying... I picked up the cutest striped shirt the other day! 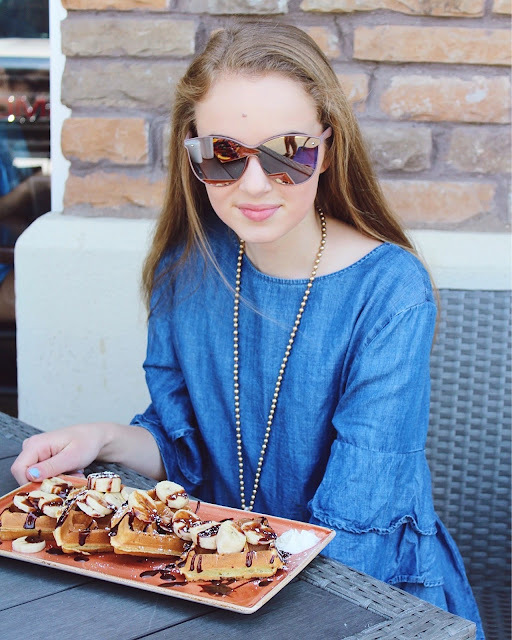 (more shirts like this are linked in the widget below)I love this style of shirt for spring and summer. I also finally bought a denim skirt (it's under $20!) I haven't styled it yet, but I'm looking forward to it! Watching... my family and I started watching this Netflix show called Nailed It!, and we all love it. It's a cooking show, kind of like Cupcake Wars or Chopped, except the contestants have little baking experience and they try to recreate Pinterest desserts. It's so funny and my family and I all joke that I should be on it, since I'm notorious for messing up in the kitchen. Reading... Unfiltered and The Alice Network. I wasn't crazy about Unfiltered (it's a really quick read, though; I read it in about an hour!) but I'm in love with The Alice Network so far. I heard about it while listening to The Young Adulting podcast (check out all my favorite podcasts here) and it's one of the best books I've read in a while. We also have to read To Kill A Mockingbird for English class, and it's actually a really good book! Wanting... this sweater (Aspyn Ovard has it and it's under $30! ), this skirt, and this swimsuit. Listening... nothing new! I need some good music to listen to... help a girl out! Long time, no blog post, friends! I thought I was past my burnout that I talked about here, but lately I've had no motivation to publish any blog posts. This time is always a busy time of year, but I've honestly had plenty of time to write blog posts... I just haven't felt like it. Enough of that - today I'm sharing 12 things that have been on my mind! Aspyn Ovard did a post like this a few months ago, and I've wanted to do one ever since. 1. A new Francesca's just opened up near me and it's two minutes away from my school... the employees already know me by name, haha. 2. It's gotten so. hot. in Dallas. It was 90 degrees last weekend and I thought I was going to melt. 3. My favorite snack lately has been tomatoes & hummus - such a good combination! 4. I only have 21 days of school left - thank goodness, because I'm so ready for summer! 6. I need good, cheap swimsuits for summer that aren't too cheeky or anything. Where should I look? 7. I just scheduled my classes for next year and I got in to all the classes I wanted. I'm taking soccer, art, Spanish, and art history for my electives. 8. I'm going to Maui and Galveston this summer! Any places I should visit while there? 9. My phone has randomly stopped working. I can't get any text messages on it anymore, and of course my local Apple store is under remodel so I can't take it in. 10. I get my braces off in less than two months! It feels like I've had them on for forever. 11. I can't believe that it's already May. This year is going by so fast! 12. I'm dying to take a trip to Waco and visit Chip & Joanna's new restaurant. It's so gorgeous!